Northville, Michigan (November 15, 2017)—The American Society of Golf Course Architects (ASGCA) selected Meadowbrook Country Club for its accolade as a 2017 Design Excellence Recognition Program honoree. Meadowbrook is one of only 11 courses to receive the prestigious designation. Arizona-based architect Andy Staples of Staples Golf Design oversaw the renovation of the legendary suburban Detroit course. Meadowbrook Country Club embarked on a major renovation of its historic 1916 course last year to mark the milestone occasion of its 100th anniversary, and took the bold step of closing the course entirely for play. Originally designed by Scottish classic architect Willie Park, Jr., with a later contribution by the renowned Donald Ross, Meadowbrook unveiled its refreshed new look in May. Meadowbrook Country Club enjoys a rich history and the club has hosted a number of prestigious national and state tournaments, including the 1955 PGA Championship won by Doug Ford. The former PGA TOUR Motor City Open also was contested for four years at Meadowbrook with Ben Hogan winning the inaugural tournament in 1948. Chick Harbert, the club’s most famous head professional, won the 1954 PGA Championship title and played on two Ryder Cup teams, including the 1955 squad as captain. As the metropolitan Detroit area undergoes a renaissance, the club also is poised for a vibrant future entering its second century. With the reputation as an exceptionally family-friendly club that values tradition and camaraderie, Meadowbrook’s comprehensive golf course renovation has it positioned to rank as one of the region’s finest private club membership experiences. 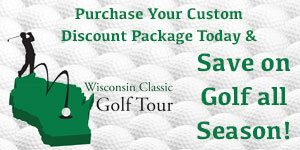 For more information, visit www.meadowbrookcountryclub.com or call (248) 349-3600.